An appetizing treat with a unique taste, crunchy, fulfilling, and above all, cheesiest...without actually the cheese! 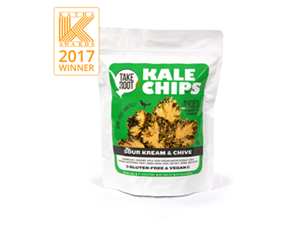 Made with all-natural ingredients and organic kale sourced from local small proudly-pinoy farms grown free of pesticide. This original Vegan Cheeze flavor are free of preservatives and other nasty additives, no oil, no dairy, no sugar. 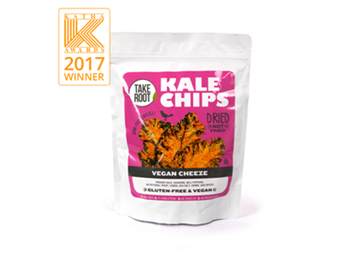 Kale chips are never baked, never fried, just dried at low temperatures to retain nutrients. Stray away from regular junk chips and opt for the one just as tasty and cheesy but altogether healthy. Eat straight out of the bag. 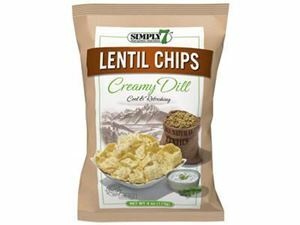 Love the chips with zero guilt! This superfood Kale is among the healthiest cruciferous rich in phytochemicals, antioxidants, various health-promoting compounds, vitamins and minerals like vitamins A, K, C, fiber, calcium, manganese, potassium, iron, and magnesium. 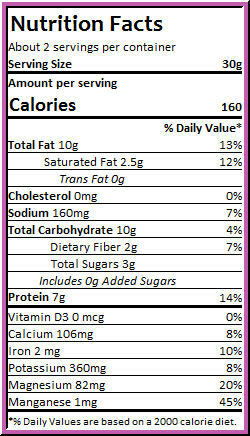 To be more specific, half the pack has 45% recommended daily intake of manganese, 20% magnesium, 10% iron, and 8%. A sure healthy way of snacking without giving up the chips craving. Kale, bell peppers, cashews, lemon, nutritional yeast, sea salt. Mix all ingredients in a blender until creamy dip consistency. Side with Vegan Cheeze Kale Chips and dip to your heart's content! 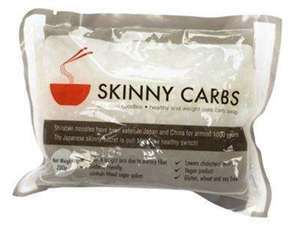 Virtually calorie free noodles for weight loss. Gluten-Free. No trans fats. Zesty Creamy Dill, hint of cucumber.